If you’re a beer connoisseur searching for an advanced way to enjoy your brew from the comfort of your home, a growler is exactly what you need. This beer transportation vessel is designed to revolutionize your brewing demands allowing you to enjoy a mug of cold beer at home without having to rush to the nearest pub. Now, a good growler isn’t just any growler. After a thorough research on customers’ feedback, it’s clear that most customers are really frustrated by the poor performance of their cheap growlers. Most of these growlers aren’t insulated and are designed with poor quality caps that fail to retain your brew’s carbonation leaving it flat and flavorless within hours. Now, having heard your cry, we managed to spot one of the most advanced growlers that will ultimately revolutionize your brewing demands. 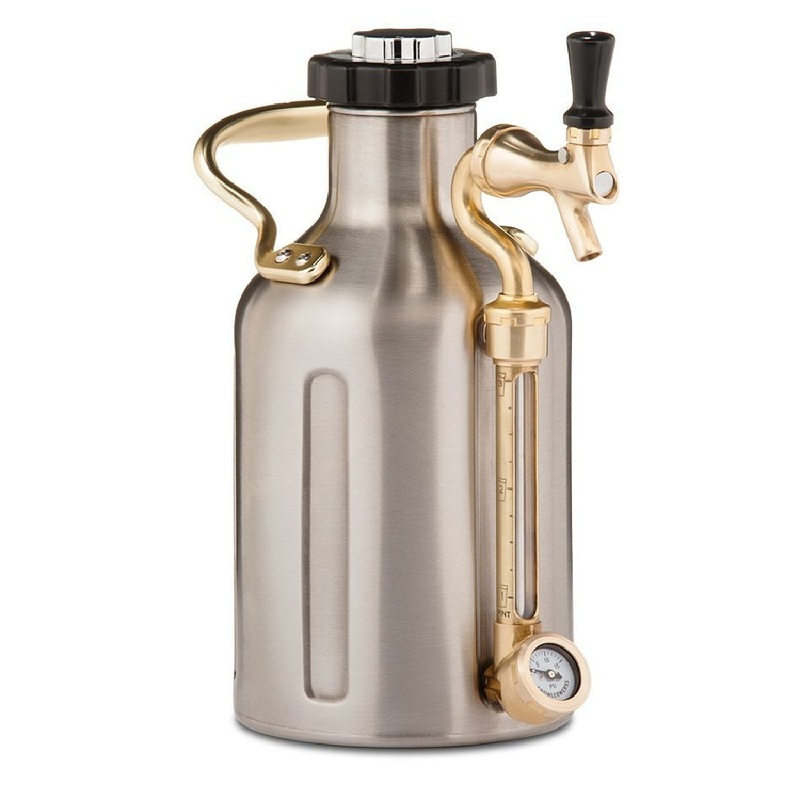 The uKeg 64 Pressurized Growler for Craft Beer is exactly what we’re speaking about. Unlike glass growlers, the uKeg from Growlerwerks is made of metal—specifically stainless steel—coupled with a vacuum insulation and a pressurized locking tap to preserve your brew’s freshness right from the first sip to the last pint. 6.1 Why is my growler leaking gas? 6.2 Why is pressure running out fast? 6.3 Why is the tap dripping even after being locked? Before moving on to our comprehensive review of the uKeg, we thought it would be best if we could shed some light on those beginners using this growler for the first time. Step one: before filling the growler with your favorite brew, make sure the dial-on cap is OFF. Insert your CO₂ cartridge on the sleeve and screw it tightly. Step two: before filling your favorite beer, make sure the inside of the growler is clean and perfectly rinsed with cold water. Step three: refill the growler with beer then cap it off gently. Make sure the tap is OFF to prevent any beer from leaking. Step four: finally, increase the pressure to your desired level and get ready to enjoy your brew from the comfort of your home. One major selling point of the uKeg 64 Pressurized Growler is the trendy design that makes it trump over most other growlers in the market. Designed with a durable 18/8 stainless steel metal (accented with gold), the uKeg is not only durable but it’s amazingly stylish and beautiful. With such a growler, everyone in the bar will simply turn to stare at you during a refill or maybe follow you out just to know more about the appliance. When it comes to clean up, there’s nothing as easy as cleaning the uKeg 64 Pressurized Growler. With hot water and baking soda at your disposal, all you need to do is simply rinse the apparatus gently to remove any brew leftovers. When you’re done, run some water through the tap to remove any traces of leftover beer. Dry it gently and get ready for another refill. The uKeg by Growlerwerks is usually marketed as a camping companion. This fact has been hugely backed by uKeg’s excellent portability and versatility. Its weight of just 4.25 pounds makes it easier for you to carry the vessel even when the brew is filled to the maximum. Still, on portability, the uKeg is carefully crafted with a VPR cap at the top eliminating the need to carry separate CO2 tanks and regulators in every trip. This sleek mechanism makes the uKeg an ideal companion for camping enthusiasts who love the ritual of enjoying cold brews next to bonfires or backyard barbecues. Something else we can’t fail to mention is your brewing experience. Featuring the latest VPR technology, you can now adjust the pressure gauge to your desired level (0—15 PSI) to allow the appliance to automatically maintain your brew’s carbonation. The results….The results are nothing short of a fresh, flavored, aromatic and deliciously drafted beer that will definitely meet your brewing demands. Finally, the uKeg 64 Pressurized Growler is fitted with a sight tube that gives you an explicit view of your brew’s level. The glass window is calibrated with pint and ounce measurements keeping you updated on when to refill the growler before you hit empty. Due to its portability and versatility, it’s clear that the uKeg 64 Pressurized Growler is perfect for avid brewers who enjoy camping, hiking and inviting friends over to enjoy the brew while watching soccer, NFL or a rugby match. The uKeg 64 Pressurized Growler is extremely durable thanks to the stainless steel construction. Serving your beer has now been simplified thanks to the available tap. With a weight of just 4.25 pounds and sleek dimensions of 7×5.2×10.8 inches, this growler is extremely portable and easy to carry to any location. Depending on how you’d like to enjoy your brew, the uKeg is versatile enough to hold any type of brew you bring in. This appliance is backed with a 1-year limited warranty coupled with an exclusive lifetime customer support. According to some customers, this growler has a tendency of leaking beer either from the top or at the tap. Although some customers praise this growler for a job well done, others have complained about a couple of issues such as broken parts during shipment and other mechanical problems that render the appliance useless after some time. Other customers have complained about the high price of the uKeg 64 Pressurized Growler yet it only holds a small amount of brew (64-ounce). Why is my growler leaking gas? Is your growler leaking gas whenever you install a new cartridge? Well, the first thing you need to check on is the regulator dial which should be turned off. Next, make sure that the cartridge seal retaining nut is tight enough. Finally, check whether the cartridge seal is damaged or fractured. If it’s damaged, consider replacing it. 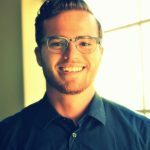 Why is pressure running out fast? Now, if pressure is running out fast, check to ensure the cap is fitted tightly. Secondly, double check the cap O-ring to ensure it’s not damaged. Also, make sure the cartridge seal is not damaged. If the problem persists, contact the technical support team for more advanced guidance. Why is the tap dripping even after being locked? Normally, a tap will drip some beer after closing. However, if dripping is more than normal, debris inside the tap might be upsetting the normal tap operation meaning you’ll have to run a clean cycle. If the problem persists, check the condition of the O-ring to ensure that it’s not punctured or damaged. Finally, the uKeg 64 Pressurized Growler is one of the leading growlers in the brewing arena. An innovative product packed with exclusive features, customers now have a reason to smile about as this growler is capable of serving fresh, cool and carbonated beverages without sacrificing the flavor. However, according to some customers’ feedback and experience, quite a number of users have complained about the leakage making it a major concern. The best thing about it is that the technical support team is really responsive and since this is a manufacturing defect, customers will either receive detailed guidance on how to solve the problems or be issued with a new appliance in case the warranty is not voided.